This is the version for GTS! GTS 1.04 and ETS 1.03 both in the same mod! 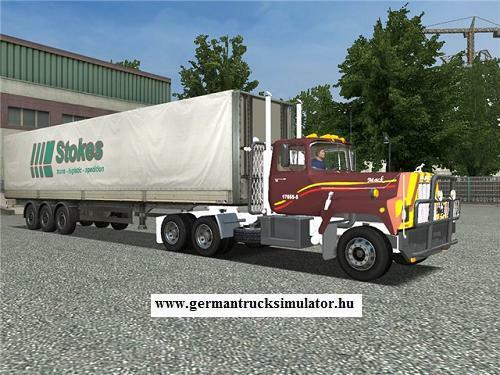 this truck replace scania_rcab_c (swift c class) the trailer replace "reefer". This model does not exist in reality is my own design! reproduction of the original inner vision mirrors. if there is another mod truck with exclusive interior. The author of original model thanks for an authorship mention, but considers necessary to inform that the model was used without its permission and the consent. 1. 2005 Peterbilt 379 "Retro Style"
Заменя Volvo A Class !